Anderson Cooper anchored AC360 Live from Manila, Philippines. I have a question for anyone more knowledgable about CNN rules and regulations. 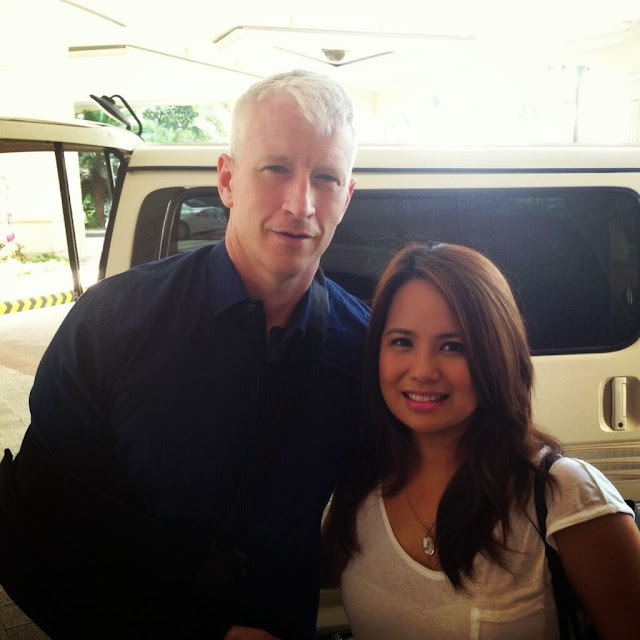 Anderson did several terrific interviews on his show concerning getting help to the Philippines. In the first segment about the terrible hospital and healthcare situation, the screen subtitle had a quote from Unicef. 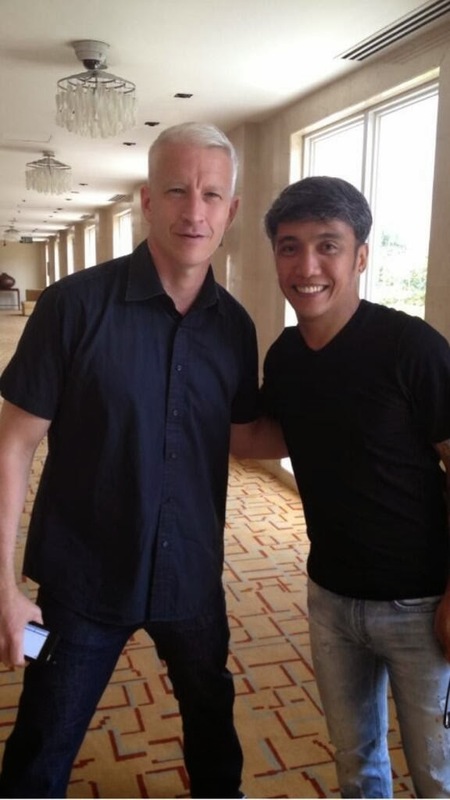 Then Anderson talked to Arnel Pineda about the Journey donation apparently to the World Food Programme. Later he talked to Damian Moloney from Doctors Without Borders; at the end he said "...people can go to the website..."
But at no time were the websites for Unicef, World Food Programme or Doctors Without Borders shown on the screen or directly spoken by Anderson. Does CNN have a rule stating website addresses cannot be broadcast by either saying them or showing them on screen? A small detail but it would help people and maybe get more donations if they are saved the step of looking up the website address themselves. Way back when Olbermann was on MSNBC he spotlighted the National Association of Free Clinics. He talked to NAFC's director and stated and showed the website on screen and encouraged viewers to make a donation. To help facilitate donations to the organizations appearing in 360, can't Anderson do the same? Overall the show was very good. I did switch to Hayes during the Mayor Ford segment. Was the only reason for this segment to re-air the interview with the Mayor's brother? I think so. No bro interview, no time spent discussing the Mayor. Thanks to ATA for the videos especially the reporter's notebook and the reporter's roundtable at the end of the show. Hayes was covering the "hustle" of public funding for sports stadiums (the new Atlanta Braves stadium in particular) and since we recently went though that up here, I had to watch. Thank you ATA for all the extra coverage that you posted. I don't get to see when he is on other shows during the day so it was nice to catch them here. Anderson did a great job covering this story. I do have a question though. On Thursday night he said they had moved to Manila for logistic reasons. That was the day the Philippine government was giving him grief on his coverage, so I assumed maybe he was getting in place to leave on Thursday, so was surprised to see him still there on Friday. Do you think they moved there to be able to get hotel rooms or what? Just curious about the logistics comment. Again thanks for the great coverage. A few nights ago he mentioned they were very low on fuel to power their generators. Maybe that's why they moved...or no access to other supplies. 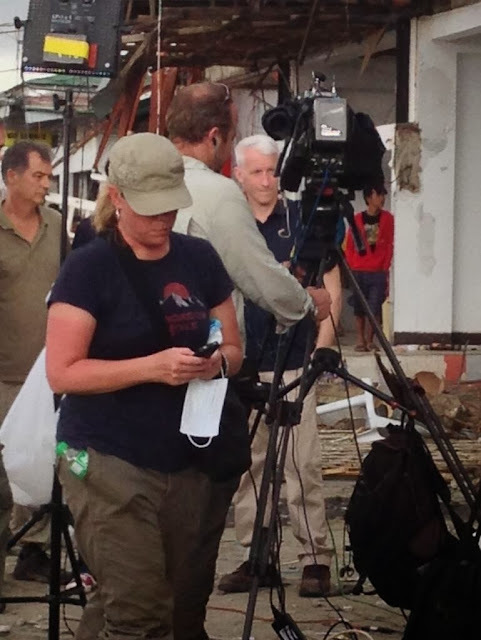 It is sad to say that disasters such as Haiyan bring out the best in CNN's coverage and AC's reporting, but it's true--he has always been a fine field reporter who has a gift for getting to the heart of how a tragedy affects people and how they either rise above it or let it consume them and pointing out the real needs and inefficiencies of the government. Great work by CNN/AC and his team of colleagues and producers. I hope the Philippines will be able to recover from this storm, as AC said, they are a strong people. Thank you ATA for bringing us a great selection of pics and clips It is very much appreciated.